House Smelling Like Luxury! I found the Perfect (Low Cost) Dupe for Jo Malone's Candles. Just the other day, I visited my local Aldi's grocery store. It was supposed to be another uneventful trip where I picked up some avocados, leafy greens and maybe a few specialty food items. Little did I know that this routine stop would land me the biggest find of 2018. Aldi's is a cross between a low-cost Whole Foods and Big Lots. Since they're affiliated with Trader Joe's, they often carry organic, healthy food options at a really affordable price. They also have this neat home goods section that stocks random household items on closeout. Their inventory rotates quite a bit so if you find something you like, it's best to grab it. Upon entering the store, I made a beeline for the home goods section to see if I'd run into something special. Within moments, my eyes landed on a display of candles with cute little black bows on the lids. Instinctively, I picked one up to check out the branding. I thought my eyes were deceiving me because, at first glance, it appeared as if I was holding a Jo Malone candle. I inhaled the scent of the candle and confirmed that it was indeed the same fragrance of my favorite Jo Malone candle from years ago. But the price was only $6.99! Have I ever told you my Jo Malone candle story? Years ago, during my abundance manifestation experiment, I decided to invest in a few quality items to enhance my feel good routine while raising my level of comfort with purchasing luxury goods. One of my first purchases during this experiment was a $60.00 Jo Malone candle. Spending a ton of money on a candle is the literal definition of burning your money. But I challenged myself to do it so I can be reminded of its opulence every time I lit the wick. Those candles are of a superior quality. I immediately noticed the difference between these luxury candles versus the ones I bought from Marshalls. Jo Malone's signature fragrance filled the air within minutes of burning. The scent was so intoxicating that I could only light it for minutes at a time. Every time I breathed it in, I felt like I was taken to an English garden in the springtime. It was amazing. Eventually, I finished the candle and turned my attention to Voluspa candles which were about half the cost. But I never could forget the alluring fragrance from Jo Malone. So here I am, standing in front of what appears to be a display of nearly identical dupes to my beloved candle, but at a mere fraction of the price. Once I regained my composure, I quickly began stockpiling my cart with enough candles to last forever a long while. While all of this was happening, I thought "I need to share this good news with everyone I know!" 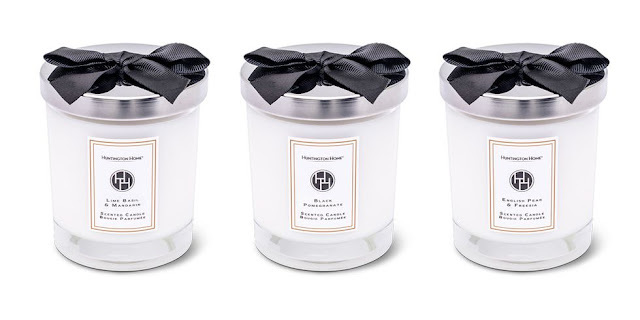 If you live near an Aldi's location, and you're a fan of the Jo Malone brand, please be advised that they are currently carrying Huntington Home candles, for a limited time, in the following scents. I've burned some of my new candles and the quality is superb. These dupes are nearly identical to Jo Malone candles. Their slightly milder but the scent profile is nearly identical. Best of all, I can get 10 Aldi's candles for the price of 1 from its designer counterpart. 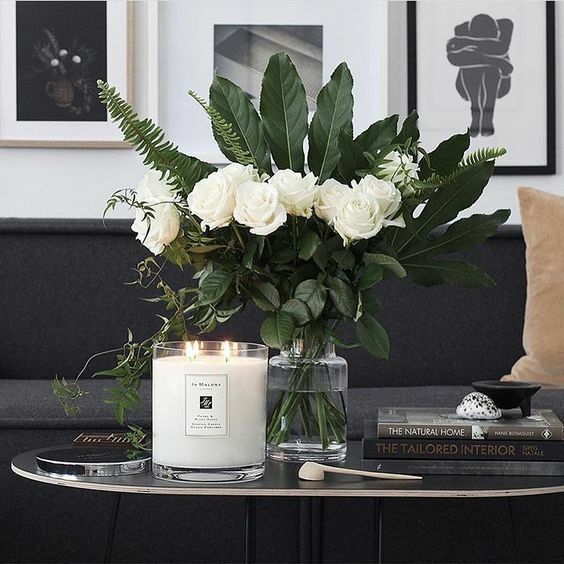 If you aren't familiar with Jo Malone candles, you might want to stop by their display next time you're at a department store and see if their fragrances resonate with you. For those who aren't near an Aldi's store, I saw a bunch for sale on Ebay for a few dollars more than the Aldi's price but still way cheaper than the original and very much worth it.